Apple has released the most awaited and the major update of its desktop operating system called "macOS Mojave" at Worldwide Developer Conference (WWDC) 2018. The name "Mojave" refers to the Mojave Desert located in California (USA). The latest macOS Mojave version 10.14 is the 15th major macOS release by Apple for Macintosh computers. The Official macOS 10.14 Mojave Update has brought several new features and functions such as; iOS apps support on macOS, Addition of New Apps i.e. Apple News, Home, Voice Memos etc., the introduction of Dark Mode on macOS, the final version to support 32-bit apps, redesigned Mac App Store etc. Apple has also released the Xcode 10 version of its developing software which has also brought some useful features for macOS, iOS, watchOS, and tvOS developers. The latest macOS Mojave 10.14.5 Beta (Build 18F96h) and Xcode Beta is available as a free software upgrade and for free download and installation on several Mac computers, laptops, and devices. The Direct Download Links of macOS Mojave 10.14.5 Beta .DMG Installer File and Xcode Beta .DMG Installer File Without Developer Account (Apple UDID) and Without App Store is available for free below. What's New in macOS Mojave Features Changelog? The official macOS 10.14 Mojave release note includes several useful features and functionalities for Macs with Metal API supported devices. So if you own MacBook, MacBook Pro, MacBook Air, Mac Mini, iMac, iMac Pro, or Mac Pro device, then you can experience the all-new macOS Update right now. We are mentioning some important and crucial list of features and functions below. You can also read full macOS 10.14 features changelog HERE. What's New in Xcode 10 Software? Just like macOS Mojave 10.14 Update, Apple has made significant changes in its latest Xcode 10 development tool to help developers make apps and games much faster and easier across all platforms of macOS, iOS, tvOS, and watchOS. We have listed down some important and useful features, changes and improvements to all new Xcode 10 below. You can also read full Xcode release note HERE. Xcode 10 Support Swift 4.2 and SDKs for iOS 12, tvOS 12, watchOS 5, and macOS 10.14 Mojave. With macOS Mojave 10.14 being a major update from Apple, support for many old Mac computers have been dropped compared to macOS High Sierra. Following Mac hardware’s with Metal API support is now compatible with the latest macOS Mojave Update. The latest macOS Mojave Developer Beta version is available to all Apple Developer Program members, and the official macOS Mojave Public Beta version is available to general public users, while the macOS Mojave Final version has been released officially this fall of 2018. How to Install macOS Mojave 10.14.5 Beta without Developer Account? Apple Mac device users can do free macOS Mojave 10.14.5 Beta offline installation without having the developer account and Apple UDID. 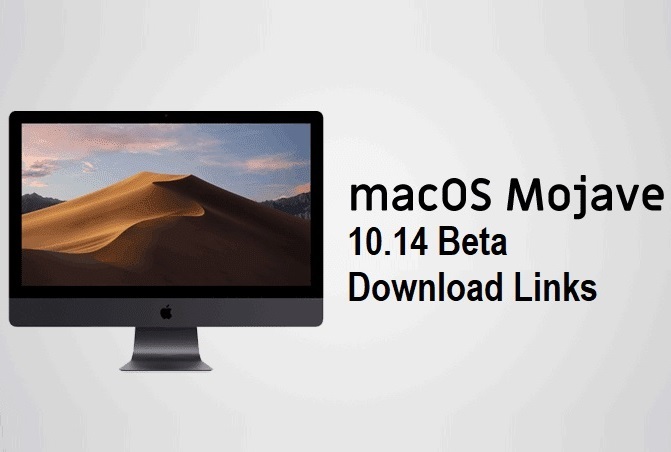 To free download and activate macOS 10.14.5 Beta without developer account and Mac app store, general public users can Download macOS Mojave 10.14.5 Beta .DMG Installer and Configuration Profile via Direct Link and Torrent Link available below.